This is a HUGE milestone for animal welfare in Pakistan! And at the heart of all this change is our lovely Kaavan: thank you for being patient sweet boy, we love you, and you deserve the world, hang in there just a bit longer! Every volunteer, every protest, every tweet, has led up to this crucial point. I wrote Kaavan's petition nearly a year ago with the hopes of just getting Kaavan's story out there. I didn't know what to expect, and was astounded to see over 400k passionate animal lovers take up the cause with us and make this into such a powerful movement. This has been an uphill battle from the start and all the support we have gotten from each of you elefriends is what got us through to this point. As some of you may know, our senate meeting was today, this was the senate arrangement our team worked so hard to organize a month ago with the amazing Senator Samina Abid who personally took Kaavan's case and helped us push for it to be sent to a committee meeting in front of the whole senate! Our head of communications Faryal Gauhar addressed the senate a record three times (usually civilians are not allowed to talk more than once as senators have the floor). 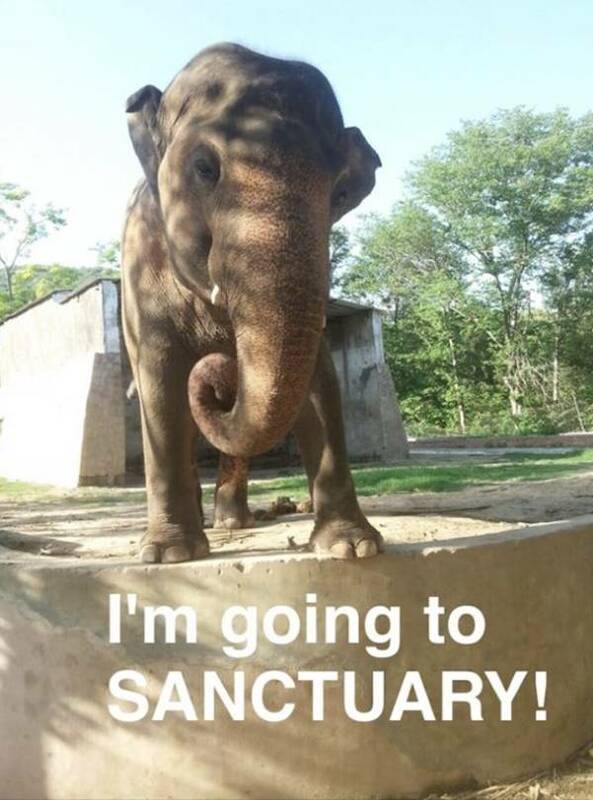 Faryal openly argued Kaavan's case, she brought research and recommendations from leading experts for his sanctuary, as well as our contact Supreme Court lawyer the amazing Anees Jilani to the meeting and he spoke as a high value witness giving his testimony in support of sanctuary and in the end all the hard work payed off because the senate ruled in OUR favor! We will be sharing footage from the meeting later! We are so grateful for all the senators who spoke up for Kaavan! Of course, like all things in Pakistan, we need to be careful and continuously check back to ensure it is done! We need to keep our guard up as we aren't completely out of the woods yet, but we estimate we are roughly 80% there! The main thing remaining is that Kaavan's case will be run through the National Assembly. Our team will be on top of the senate's case and after today's success, we are confident we can face any hurdles that come up! Our next step is to continue to lobby the National Assembly and we are optimistic about the future! AND WE ARE SO HAPPY OUR TRANSFER GOT OFFICIALLY APPROVED! Thanks to all our AMAZING elefriends who got us up to this point. And a big round of applause to our OUTSTANDING group of volunteers on the ground who went above and beyond the call of duty to help Kaavan. It is because of all of you that the three decades of chaining and neglect Kaavan has faced is finally beginning to come to an end. Every volunteer, every protest, every tweet, has led up to this crucial point. We all did it. We took a stand against animal cruelty. We showed a nation the importance of animal welfare. And most importantly, we proved that Kaavan is no longer the Islamabad Zoo's elephant. The world adopted him: he is ours now and we will always protect him.